The OBE range of interface conversion apps, running on standard IT hardware, allow ultra high density, low-cost conversion between legacy and future formats. All Open Broadcast Systems’ apps can be run in a single chassis on a single machine allowing infrastructure to be based on multi-purpose broadcast compute resources instead of single-function black-boxes. The SDI-to-IP and IP-to-SDI conversions allow for high density (6-in, 6-out in 1U for example) between physical and uncompressed 10Gbit/s video interfaces. 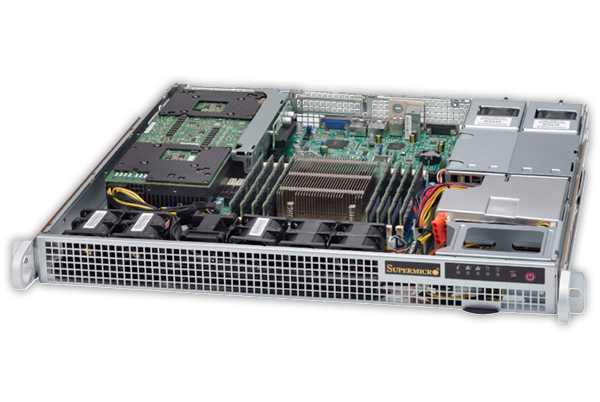 This uses standard off-the-shelf SDI and 10Gbit/s NIC. It supports SMPTE ST 2022-6/7 and TR-03. Datasheet: View Datasheet (all interface conversion products). ASI / IP conversion app allows for simple conversion between IP and legacy ASI interfaces with unrivalled density. The Intercom app allows for low-latency voice circuits to be provisioned using existing hardware. Using Opus over RTP allows for low-bitrate, very high quality audio transport.